The Kardashian-Jenner family is looking to start fresh in the new year, and that means bidding farewell to their official apps. Kim Kardashian, Khloe Kardashian, Kourtney Kardashian and Kylie Jenner announced Wednesday that each of their websites will go dark in 2019. "We've had an incredible experience connecting with all of you through our apps these past few years but have made the difficult decision to no longer continue updating in 2019. We truly hope you've enjoyed this journey as much as we have, and we look forward to what's ahead," a statement read. Around this time last year, Kendall Jenner echoed a similar sentiment when she shut down her app. Launched in 2015, access to the stars' apps cost subscribers $2.99 a month. Content primarily featured never-before-seen photos and videos from their personal lives, as well as insight into their beauty, fitness and diet routines. The E! reality TV personalities continue switching things up in their empire, as just eight months ago Kim announced the closure of their DASH clothing boutiques. Of course, that's not to say the Kardashian fam is slowing down by any means. Just yesterday, 21-year-old Kylie made Forbes' list of America's Wealthiest Celebs. With a net worth of $900 million, the cosmetics mogul landed the No. 5 spot behind the likes of George Lucas and Oprah Winfrey, and yes—she's still on track to become the youngest self-made billionaire ever. Likewise, 23-year-old Kendall was recently named the highest-paid model of 2018 by Forbes. By grossing $22.5 million within the past year, the catwalk queen out-earned industry vets like Karlie Kloss, Gisele Bündchen and Cara Delevingne. 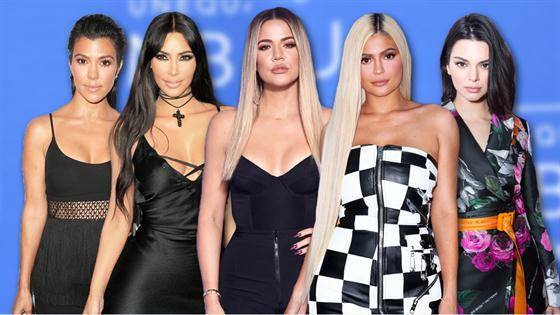 With plenty of new projects certainly on the horizon in 2019, we can't wait to continue keeping up with the Kardashians!